The BlackBerry Priv is finally up for preorders, and BlackBerry is getting ready for the launch by releasing a number of Android apps for the Priv into the Google Play Store. This is obviously proof that BlackBerry believes the software is ready for prime time ahead of the device's expected release date of November 6th. There are a number of new apps that BlackBerry has added or updated in the Play Store, including: MicrosoftexFAT, Notes, BlackBerry Calendar, Contacts, BlackBerry Hub, BlackBerry Keyboard, BlackBerry Services, Tasks, BlackBerry Device Search, BlackBerry Password Keeper, BlackBerry Launcher, BlackBerry Camera, and DTEK. Many of the apps, you can probably figure out what they're for just from the name, and the functionality wouldn't be much of a surprise. The BlackBerry Keyboard app has some interesting notes in the release info because it mentions options for customizing settings on the physical keyboard on the Priv. MicrosoftexFAT will allow users to format SDXC cards using exFAT. And, DTEK is the app that allows users to keep track of your privacy and security settings as well as what data various applications are collecting and what apps have access to your camera, microphone, location, and personal information. Good stuff nice to see some apps from blackberry are getting ready for prime time. Man would it not be cool if you could change the color of the keyboard on the Priv. I doubt that it will be a option ( built in ) but would still be really nice. some people will say that it serves no purpose but who cares ......it adds a nice touch and pretty freaking cool. While on the one hand, it's a good idea for BlackBerry to release their software in the Google Play Store so other Android users can see exactly why users of BB10 devices love them so much (which could intrigue a portion of Android users enough to actually buy a BB10 device. A long shot, I know), it may have been better for BlackBerry to leave these software features exclusive to the BlackBerry Priv. At least for the first few quarters of the Privs exsisitence. These features are a strong selling point of the Priv, and to release them into Google Play for all to use may hinder sales of the Priv a bit. Although, if you're an Android fan wanting the physical keyboard, you're going to go for the Priv, regardless. You're on every Blackberry articles. Stop being a blind fanboy and get a life. That's a poor imitation of me, so keep me out of it. Looks like you want to be in it, since yore responding to me. I'm asking you to keep me out of it since "you're" doing a mighty good job at mud slinging. And I'm telling you to not bother and comment at all on me taking down your bizarro impersonator. Besides, there is nothing that I said that isn't true. I don't care how you go about interacting with your faux account. Just keep me out of it. You know damn well that's your faux account that you created to garner sympathy from PA users since more and more are calling you out for the troll that you are. So are you groupie girl. And its hilarious that you're a groupie girl to an actual groupie girl. This is also a good way to expand BlackBerry's software footprint. Most likely, these apps are just in Play Store for fast updates, and cannot be downloaded on other devices. HTC and Motorola did the same about a year ago. It was probably intentional to have the apps decoupled from the actual software updates, so that BB can do Android updates more quickly and not have these apps tied into the updates. Plus a number of these apps are probably useless without using the Priv anyway. If those apps are going to be available for all Android users, this would be the dumbest decision by the company's management. So the Priv would not have any differentiation features EXCEPT the physical keyboard, which the majority of users don't care about. I know apps like the BlackBerry virtual keyboard are exclusive to the PRIV, as they don't show up available for my G4 or Nexus 6. The BlackBerry camera will probably be a PRIV exclusive too. Several Android OEM's publish apps specific to their devices so they can update them faster and directly to the app. That way all users, regardless of the carrier, get the update at the same time. Motorola and HTC being two of the notable ones. The apps, however, remain exclusive to their devices. If they didn't show up available for your phone, this doesn't necessarily mean they are Priv exclusive.They are probably available at the store but not released to the users yet. However, let's not forget that we will meet the BlackBerry Experience Suite soon, which has very good apps collections. The image is not quite clear yet! Lagdroid + Bankruptberry= Epic FaIL! That's not me btw. Look at the name very closely. Are you blind? I didn't say anything. I don't need your approval to voice my opinion should I choose to. Groupie girl + trolling = Permaban. Btw... Everytime you post, it gets reported. 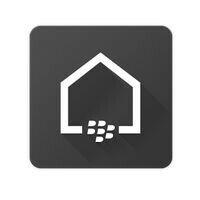 I like BlackBerry hub the best and physical keyboard is nice. But at this point I have placed a pre-order for Sony Z5 Premium although price is not known. Hopefully it is under $1000.